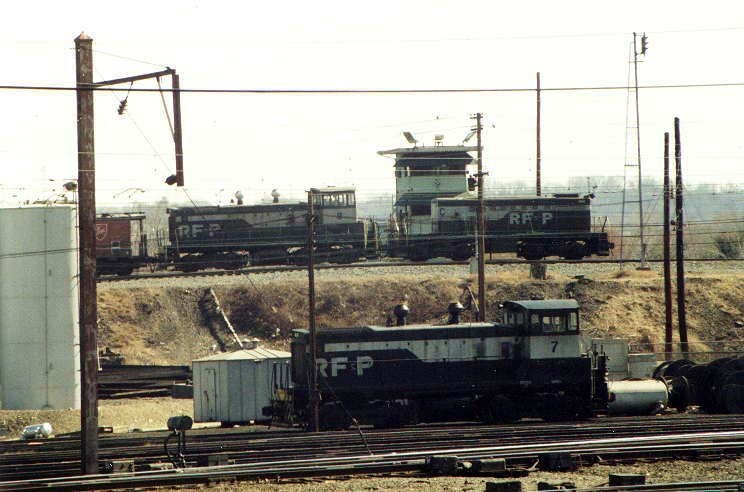 The RF&P Alexandria Yard had several humps that were used to uncouple and sort cars. Here cow and calf can be seen at work on the humps. In addition, parts of the yard and equipment can be seen relative to the hump. 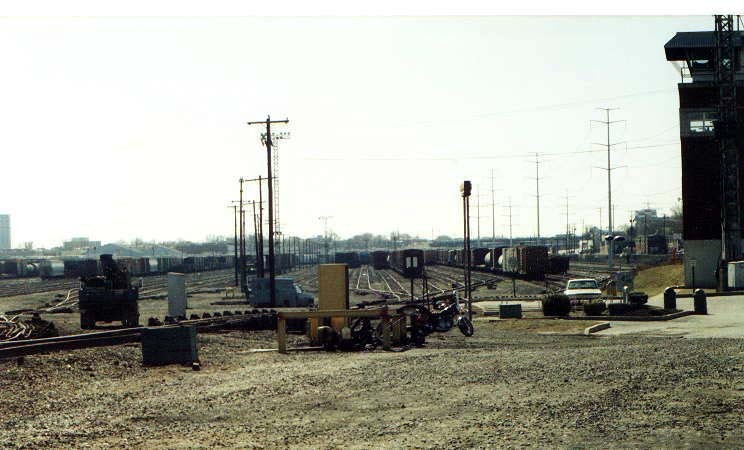 Some equipment that can be see include yard switchers and road engines (RF&P and CONRAIL). 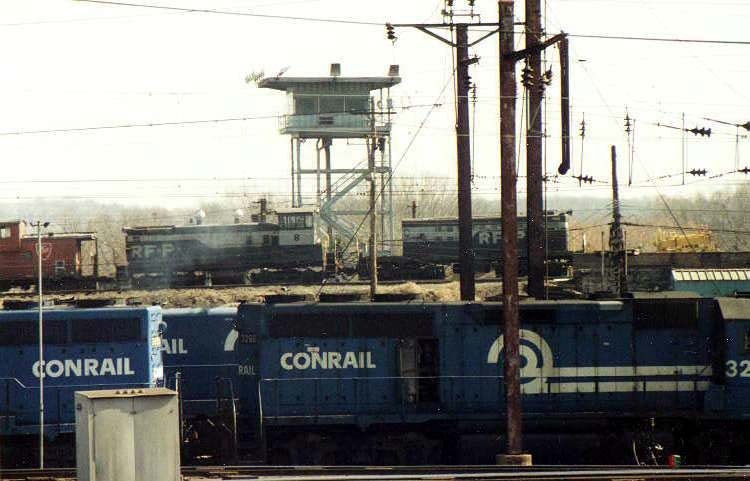 The RF&P was taken over by CSX, and CONRAIL was split between CSX and NS. The above pictures were taken sometime in the 1980s.